Back in January in another of my Wedding Wednesday posts I already told you that we decided on our wedding bands. Some weeks after writing that post, J and I went to actually buy our wedding rings :) And... today I want to show them to you! 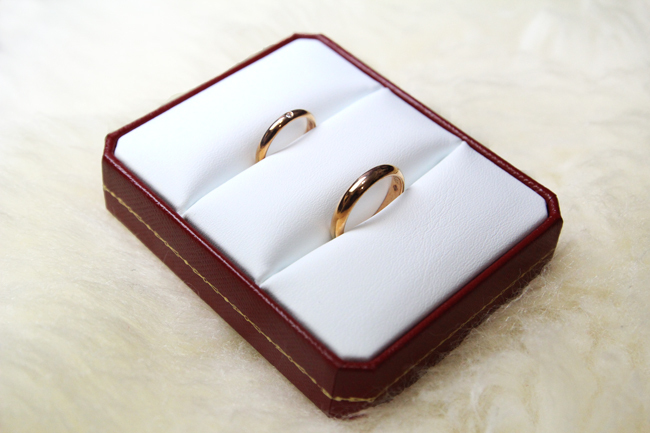 We chose the Classic Wedding Bands from Cartier in pink gold. Mine has a tiny diamond and is slightly thinner than J's, otherwise the bands are the same. We really wanted our wedding rings to be matched, and we are oh-so-happy with our choice! Both J and I can't wait to wear them! For those of you who are already married, what do your wedding bands look like? Are yours and your husband's one and the same or you went for mismatched rings? 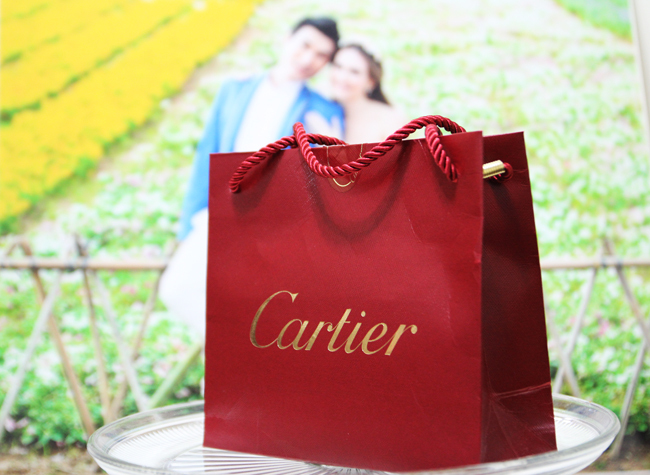 My husband has got a platinum one from Cartier as well. Beautiful, Hope you have such a great wedding arrangement..
Beautiful! The gold rings displayed above are really amazing and stylish I would say. I am fond of rings especially the gold rings. Recently my husband gifted me a charming perfect diamond ring. The ring has a gold base and shiny diamond in center. If you want to buy jewelry online, flexible shipping options and hassle-free returns are crucial. 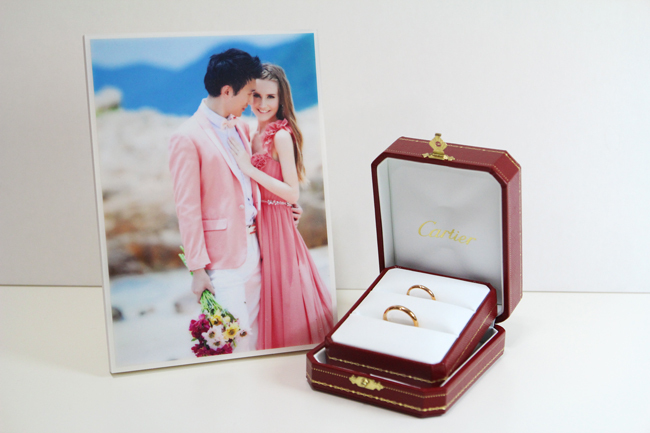 Jewelry websites should provide insured shipping options, including Saturday and next-day delivery. For added protection, many jewelers require a signature upon delivery. 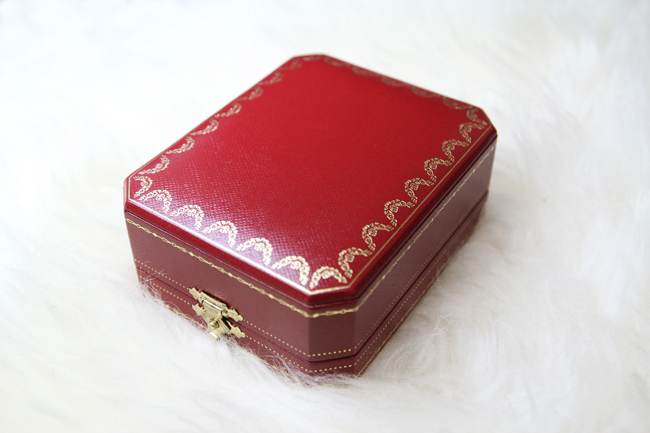 In regards to returns, most jewelers have a minimum 30-day return policy and allow exchanges on gift items. Thank you for sharing this information! I must visit their website!!! Wow!! this wedding ring looks really great. If you are looking these type of amazing rigs then, get this from PromiseRings who has the great collection of and wedding black titanium promise rings.